Who doesn’t love to receive a beautifully wrapped gift? A festive present makes the recipient feel special, and maintains the element of surprise during gift-giving. However, you don’t have to spend a lot of money to present a lovely wrapped gift. Instead of buying ready-made wrapping paper, wrap your presents with something that you made yourself. 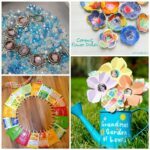 With old grocery bags, yarn, clever cut-outs, and a bit of creativity, you can make gift wrap that is both stunning and sustainable. 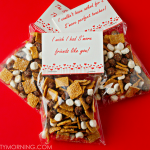 A simple brown grocery bag can go a long way in gift wrapping, and can be adorned in many ways. 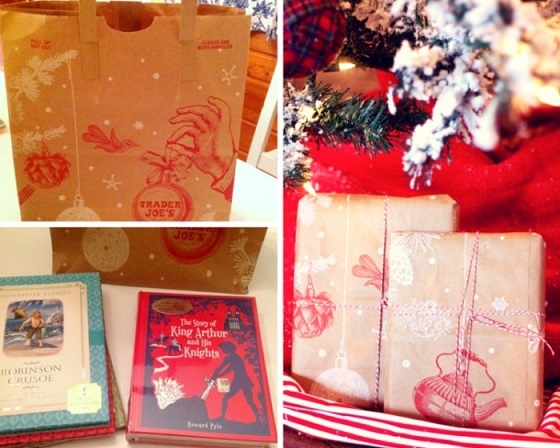 I used a brown paper bag from Trader Joe’s, which was perfect because their bags are festive at Christmas time. I was able to wrap a set of three books (together) and a single book from this bag. I tied both packages up with red and white baking twine. Easy peasy! 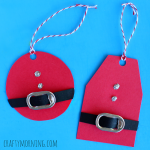 If you’re feeling extra creative, you can use leftover bits of the paper bag to create gift tags or bows. For adding cheer to your gift wrap, use some yarn! Gather pieces of yarn and tie their ends together to make a long string. Make at least 10 long strings of yarn in different colors and tie them all together around a gift box wrapped in kraft paper. 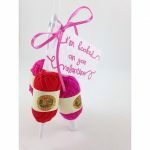 Create ribbons made from strings of yarn to top off the gift box. Make kraft paper look special by decorating it with a holiday wreath that you made yourself. 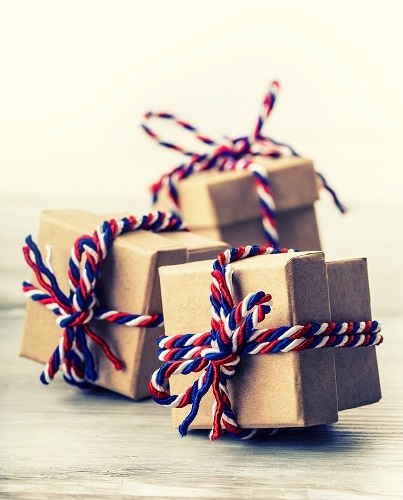 To start, wrap your gift box with plain kraft paper and tie a piece of burlap around it. Then your wreath — either embellished or not — insert a piece of twine into the wreath’s frame, and then tie it around the wrapped box. Cut some pieces of wire and use them to attach the branches to the wire frame. 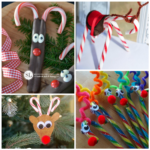 Apply hot glue on the ornaments, and then stick them to the wreath’s base. Keep the ornaments in place by wiring them to the base of the wreath. Having a hard time getting rid of those old newspapers and magazines stacked on your coffee table? 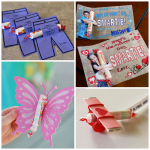 Use them to make an attractive gift wrap! 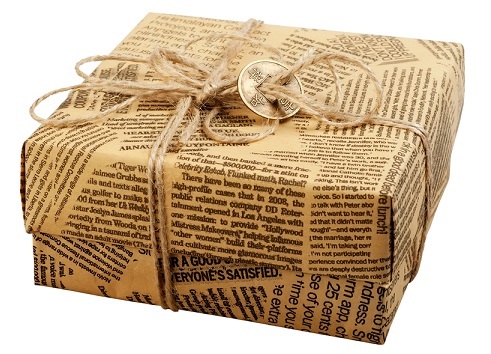 Wrap your present with kraft paper, and then cut out interesting pictures from old newspapers and magazines. 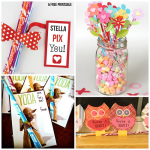 Make beautiful images and ribbons out of the cutouts and stick them on your gift wrap. For a more personal touch, cut big letters to spell out the name of the person you’re giving the gift to. If you’re in a pinch, sheets of newspaper or magazine pages can be used as actual wrapping paper, finished off with some jute or twine. 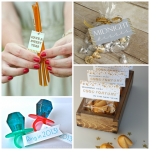 Wrapping Christmas presents is made easy and affordable with these creative gift wrapper ideas. 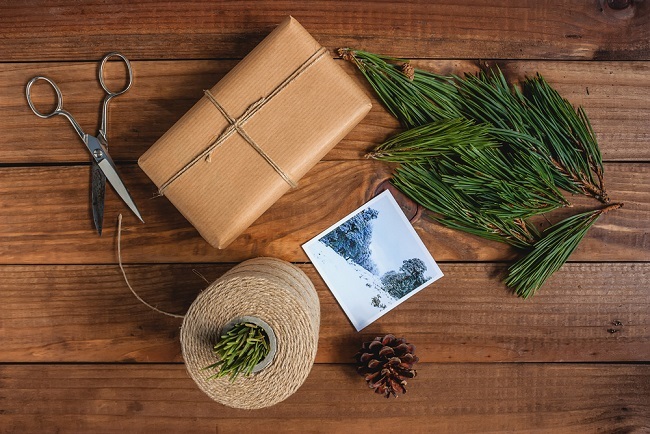 What are your favorite sustainable gift wrapping ideas? Sound off in the comments! 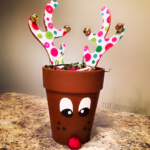 Jennifer Lutz writes about home décor at blog.christmastreemarket.com. Scrambling for last-minute home garnishing? Jennifer’s got all that covered and more on the blog!